Главная > Все новости > English is FUNtastic > Do you wanna play? 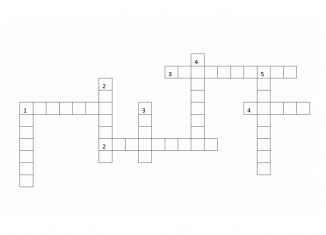 Fill in the crossword and write down your answers in “comments”. A huge storm! It can be up to 600 miles across and have strong winds spiraling inward and upward at speeds of 75 to 200 mph. Shaking, rolling or sudden shock of the earth’s surface. It results from days of heavy rain and/or melting snows, when rivers rise and go over their banks. A large ocean wave usually caused by an underwater earthquake or a volcanic explosion. It is when there is a lack of precipitation over an extended period of time, usually a season or more, resulting in a water shortage for some activity, group, or environmental sector. It is a disturbance in the atmosphere, or air. It occurs when hot materials are thrown out of a volcano. It is a rapid flow of snow down a sloping surface.